PRIVATE & SEMI-PRIVATE LESSONS ARE BOOKED IN 15 MINUTE INTERVALS. ALL COACHING FEES ARE PAID TO THE CONTRACTED COACH! Please book your coach early to avoid disappointment. Check our Coaches page for credentials and contact info. Guest Coaches and skaters are Welcomed! If your an out of Club skater you need to provide proof of a CURRENT Skate Canada Membership to be allowed on our ice times. STRUCTURE: Skill, Tests, Achievement, Recognition is what STARSkate is all about! The STARSkate program is designed to help skaters achieve maximum personal growth and figure skating potential. 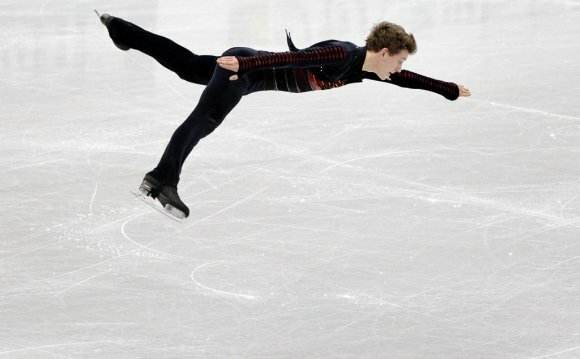 It also offers opportunities for skaters of all ages to develop fundamental figure skating skills in the areas of Ice Dance, Skating Skills, Free Skate and Interpretive Skating. This program provides one on one instruction and teaches figure skating skills in a private/semi private lesson. Skaters have the opportunity to take Skate Canada Tests through a nationally standardized testing system. Stroking is strongly recommended as it will help enhance your edges and body relationship. * Single bladed, leather lace up skates FIGURE skates. * When purchasing new or used skates, please make sure to sharpen them as they DO NOT come sharpened. * Please wear yoga pants, leggings, skating dress or skating skirt (wear skating tights with skating dress/skating skirt) for easy movement of the body. NO jeans as this restrict movement. * Long hair pulled into a bun or ponytail. * Gloves are MANDATORY as they will protect your hands from the cold. * Water bottles are a MUST have at the boards. Drop in fee for FSC skaters = $10.00/hour MUST BE PAID BY CASH or CHEQUE to a Federation Skating Club Coach! This is if you are looking for extra ice and don’t want to buy another day package. Drop in fee for Guest skaters = $20.00/hour MUST BE PAID BY CASH or CHEQUE to a Federation Skating Club Coach! The below volunteering statement only applies to Federation Skating Club members and not our guest skaters! NOTE: The Volunteer (if not giving a DONATION) & AGM cheques have to be mailed in 2 weeks before first lesson to ensure your registration is processed!! !